Leixlip is located on the border of Kildare and Dublin, making us an ideal base from which to explore both cities. Arrive at Leixlip Manor Hotel in afternoon. Visit Castletown house and take a tour of the area, followed by a stroll around the park along the avenue. Stop into Celbridge for coffee and a peek at the place Arthur Guinness was born. 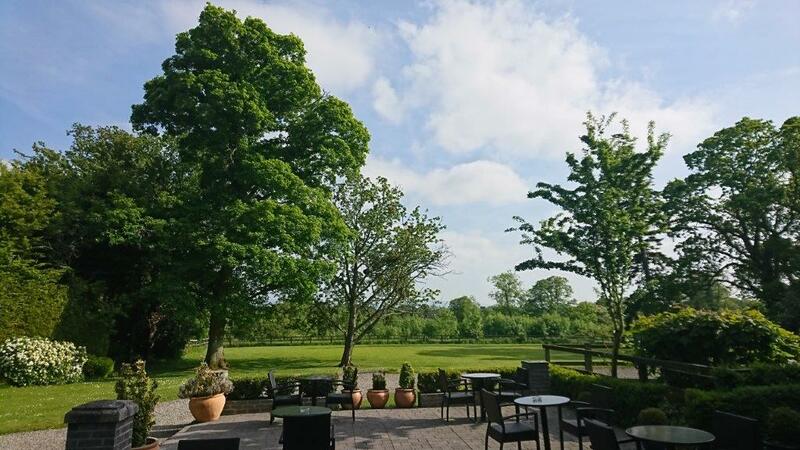 Return to the hotel for dinner in the Redwood Bar and relax on the terrace, weather permitting, or in the drawing room. Each room is fitted with a Smart TV so you can have a movie night in your room. Feel free to sign into your streaming service account! Breakfast in the Manor Rooms, then say hello to Rollie and Golden Lady, our ponies. Head out to Dublin Zoo and the Phoenix Park. Visit the National Museum, Kilmainham Gaol or the IMMA at Kilmainham Hospital in the afternoon. Return to the hotel for dinner in the Manor Rooms, followed by an evening stroll around the grounds. Check-out and head home after a fabulous break. After a few re-energising days, complete your holiday with a visit to Tayto Park to get the adrenaline pumping again! Castletown House is one of Ireland’s palatial mansions and key points of interest on the trail of Ireland’s Ancient East. 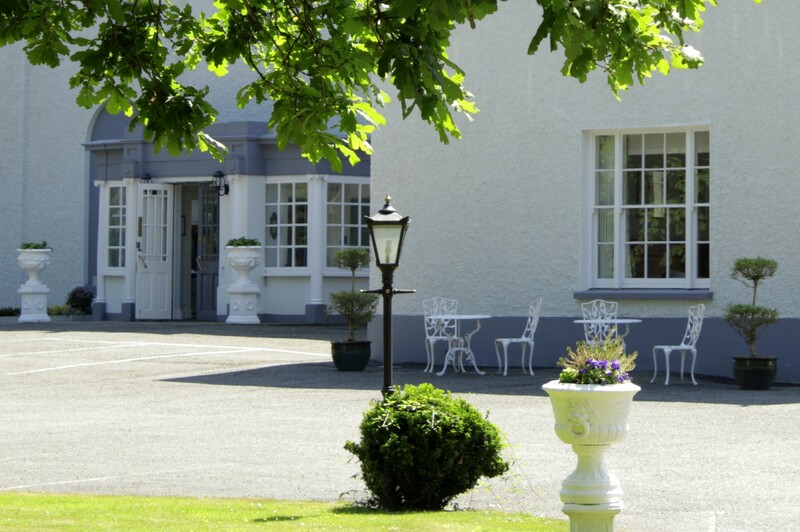 This House is only 5 minutes from Leixlip Manor Hotel. In fact, our Manor House was one of three viewing points from the Main House. Tours take place on a daily basis and there is a huge park to explore that runs along the Liffey. Tayto Park is 30 minutes from the hotel. This is where the fun begins and the magic happens! Its’ an exhilarating day out for all the family with plenty of activities for the grown-ups too. Base Entertainment in Celbridge has a fabulous range of activities for the young and the not-so-young. From soft play areas to Laser Tag and Bowling, there’s something for everyone. Dublin Zoo is 20 minutes from the hotel. Visitors could easily spend a whole day exploring the Zoo. We’re located close enough to the Phoenix Park that you can beat the crowds and find parking nearby. The Phoenix Park is home to the Zoo and one of Europe’s greatest parks. There are opportunities to hire bikes, hike, and visit countless historically significant points of interest. The Irish Museum of Modern Art makes a great day out and is only 20 minutes from the hotel. Housed in Kilmainham Hospital, the Gallery is not the only thing for you to see here. IMMA is across the road from Kilmainham Gaol another must-see, atmospheric location. Located very close to Tayto Park is Newgrange. In just 35 minutes, guests can reach and explore a true testament to Ireland’s Ancient East. Tours allow visitors to get up close and experience the mysteries of the site, including an opportunity to experience a simulation of the Solstice in the main chamber. For a bird’s eye view of Kildare, Wicklow, and Dublin, guests at Leixlip Manor Hotel have a great opportunity to take to the skies. Our neighbours at Weston Airport offer fabulous, unforgettable tours.